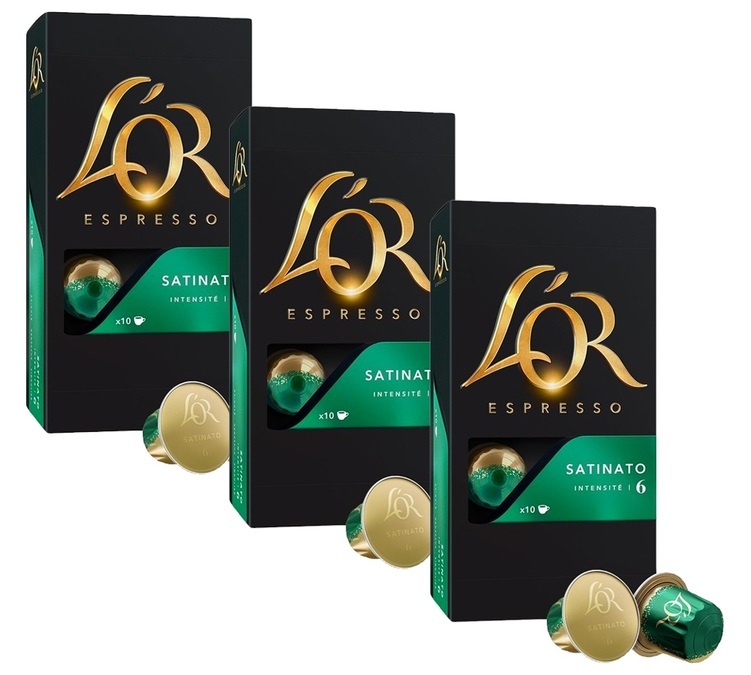 Satinato capsules by l'Or Espresso compatible with Nespresso® machines. These capsules release a refined espresso with subtly floral and fruity notes. 3 boxes of 10 capsules.